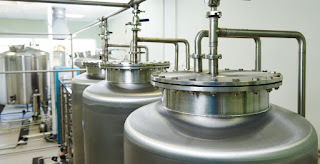 Industrial processing of fluids often requires the measurement of mass flow. Whether for purposes of process control or regulatory compliance, accurate measurement of fluid mass flow is an important element of industrial processing. In the oil and gas industry, hydraulic fracturing operations release substantial quantities of natural gas. Gas wells will coincidentally release gas during completion, called flow back. Gas is also a common byproduct of oil wells and a number of other processes unrelated to petroleum production. Some operations lack the equipment and infrastructure to collect the unwanted gas and it is flared off (burned) or vented. Highly Variable Flow Rates - Production can range from near zero to extreme bursts during upset conditions. Variable Composition - The components and density of the gas can change over time. The best mass flow measurement solution will effectively accommodate the challenges at each site. Thermal mass flow measurement is one technology that provides a good approach. Examine the paper included below, documenting performance of the TA2 Model manufactured by Magnetrol. Thermal mass flow measuring devices offer cost and other advantages over several competing technologies. Share your mass flow measurement challenges with a product application specialist. Combine your process knowledge with their product application expertise to develop the best solution. Magnetrol TA2 Thermal Mass Flow Meter for Flare Gas Applications from Miller Energy, Inc. In processes that require mass flow measurement of gases or air, thermal dispersion measurement technology is often selected for use. Its direct mass flow measurement and other attributes make this technology a favorable alternative for many applications, including combustion air, compressed air, natural gas, aeration air, vent lines, biogas production, vent lines, hydrogen lines, and more. As it name implies, a thermal mass flow meter calculates flow by using temperature measurements. Two temperature sensors are inserted into the flow path. One measures the media temperature, the other is heated by a measured power source. With a device factory calibrated for a specific medium, the amount of heat transferred away from the heated sensor can be known, and will be proportional to the mass flow rate of the medium. Verifying the proper operation of transmitters of any type can be challenging, especially if performed in the field. The video below demonstrates how the Magnetrol TA2, a thermal mass flow transmitter, can have a calibration verification performed on site with a simple procedure. The video is short and concise, with some valuable technical knowledge to build your understanding of how this technology works. More detailed information about mass flow measurement, or the specific devices shown in the video, is available from a product application specialist. Share your process measurement and control challenges with them and collaborate to develop the best solution. Industrial processes have many instances where fluid product components, liquid or gaseous, are moving within pipes. Processing is about control, so it follows that an input to the control, measurement, or data logging centers of the facility will answer the question, "How much is flowing through that pipe?". There are numerous methods employed for quantifying flow in the industrial process measurement and control field, each with particular attributes that may be considered advantageous under certain operating conditions. All flow measurement methods are indirect, as their actual measurement is of a property that is impacted in a predictable manner by a change in the flow. Flow measurement is an essential element that, combined with other fluid attributes, is used to calculate the total mass of a fluid that has traversed the measurement point. One time tested method of measuring flow is the variable area meter, also called a rotameter. Operation of the variable area meter (also referred to as a VA meter) is based upon creating an equilibrium between an upward force, produced by the fluid motion, and a downward force, gravity. The device includes a tapered glass or metal tube that encases a specially shaped float, often referred to as a shaped weight. VA meters must be installed vertically, with the media flowing from the bottom upward, so that the gravitational force necessary for operation is properly aligned with the flow direction. As fluid flows upward through the specially tapered tube, it creates drag on the float contained within the tube, lifting it upward. As the float rises, the free area between the float and the tube wall increases, causing a reduction in the fluid velocity and drag force. For any given flow volume, the flow velocity within the tube will cause the weight to rise until the drag force created by the flow reaches equilibrium with the countervailing force of gravity on the float. 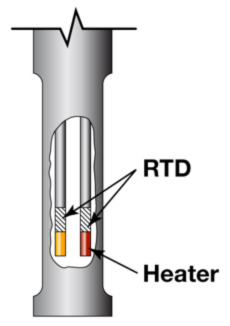 Proper design of the tube and the float allow for direct indication of flow volume. 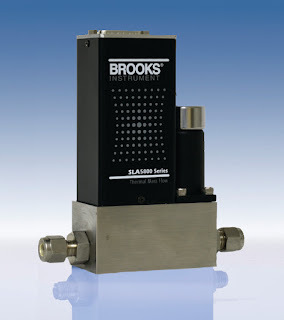 Brooks Instrument, a world renowned manufacturer of flow, pressure, and level measurement instruments, has produced a concise and compact white paper that summarizes the factors to consider when specifying a VA meter, as well as how each factor impacts operation of the unit. The description is practical and easily understood. It is recommended reading for all process stakeholders to build their flow measurement knowledge. I have included the paper below. Browse the paper. Contact the flow instrumentation specialists to discuss your application requirements and challenges. Combining your process know-how with their product application knowledge will produce a good solution. Selecting Variable Area Flow Meters for Process Measurement from Miller Energy, Inc.
Industrial process control, as a field of endeavor, is a continuous quest for better, safer, and higher output. The road of progress is paved with new technologies that deliver higher accuracy and reliability in measurement. A recently commercialized advance is the silicon resonant sensor used to measure pressure in industrial process settings. One manufacturer, Yokogawa, applies this technology throughout their DPharp line of differential pressure transmitters, with numerous industrial applications. Simultaneous measurement of differential and static pressure. The features all add up to a substantial improvement over previous technology, delivering an incremental step up in measurement performance and confidence. You can quickly boost your understanding of how the sensor technology works by viewing the short video below. To explore how the Yokogawa DPharp sensor equipped transmitters can provide better performance to your process, contact a product specialist and share your process measurement challenges. Industrial process measurement and control is charged with continually producing better, faster, and cheaper results with increasing levels of safety. For applications requiring mass flow rate measurement of fluids or tank level, a multivariable transmitter has much to offer when it comes to improving outcomes throughout your industrial process operation. Industry leading fast response time for safe and accurate process control. Yokogawa's specially developed DPharp digital sensor providing simultaneous static and differential pressure measurement, digital accuracy, and no A/D conversion error. LCD display can be rotated in 90 degree increments. External zero adjustment screw and range setting switch enhance field setup. Improved mass flow accuracy of +/- 1% from multivariable operation in one device with dynamic compensation. 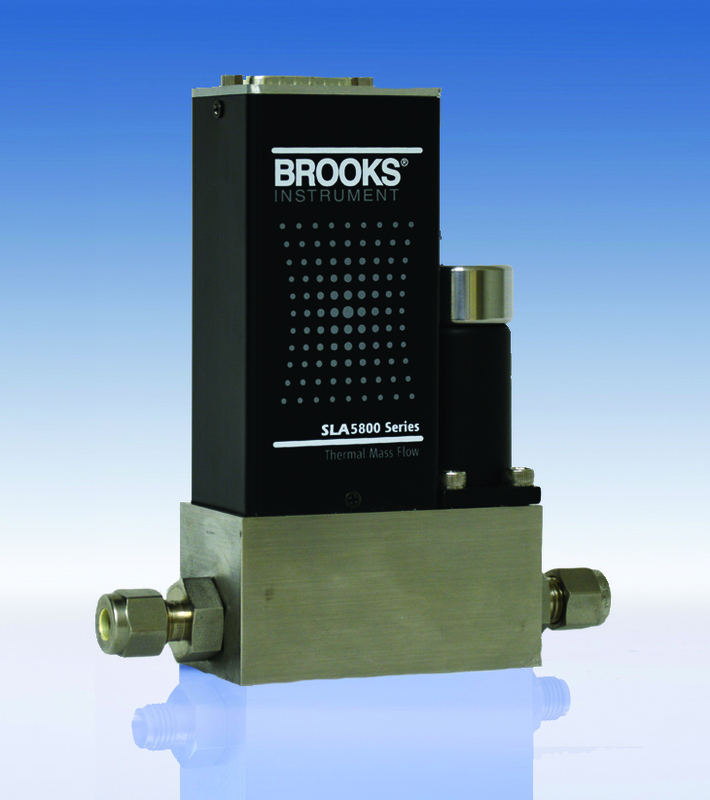 Signal characterizer for measuring level in irregular shaped tanks. Utilizes industry recognized open communication protocols for easy integration into existing installations. The manufacturer's white paper, describing precisely how the unit works and how it can be applied, is below. Browse the white paper for some additional detail, but consult with a product specialist to explore how to improve your process measurement and control performance. They have even more information than is provided here which, when combined with your process knowledge, is sure to generate a positive solution to any challenge. Yokogawa Multivariable Transmitter EJX910 from Miller Energy, Inc.
Industrial process measurement and control utilizes transmitters in abundance. There may be instances where, for convenience or due to equipment changes, the output signal from the transmitter will need to be converted to a different protocol or format. Yokogawa has produced an instructional video showing, in a clear and understandable way, how to install a signal converter on their EJX910 Multivariable Transmitter. While the instructional video shows a conversion from Modbus to USB, the knowledge and understanding gathered from the short video will help you to meet other signal conversion challenges that may arise in your facility. Your investment of five minutes to watch the video will generate returns by increasing your understanding and allowing you to move forward with confidence when a signal conversion task inevitably comes up. More information on signal conversion products, as well as process measurement transmitters, is available from an application specialist. Enlisting their help to generate solutions to your industrial measurement and control requirements is also a good investment of your time. Density is certainly a fundamental physical attribute of any liquid that is the subject of a process control operation. The ability to accurately measure liquid density in a process application is achievable using specially applied technology from Yokogawa. The company's latest version, the model DM8, is a vibration type liquid density analyzer with reliable, multi-function operation. It is the culmination of manufacturing and density measurement technology experience extending back over 40 years. The DM8 employs a converter with an incorporated microprocessor to directly convert sensor frequency signals into displayed density values. One touch calibration, internal diagnositics, and digital communications are also provided. The DM8 liquid density analyzer measures liquid density of general process liquids with high sensitivity and excellent stability. It has a measuring density range of 0 to 2.0 g/cm3, and is unaffected by flow rate and viscosity. 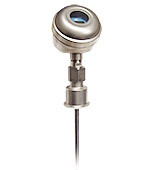 Sensor options include general-purpose, sanitary, and explosion proof versions. The brochure below provides additional detail on application configuration, product specifications, and operating principle. Share your process process measurement challenges with a product specialist to achieve the best solution for your application. 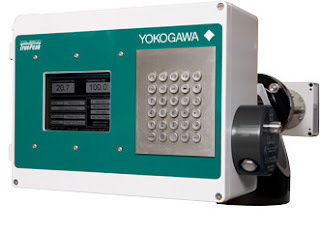 Yokogawa Vibration Type Density Meter from Miller Energy, Inc.
Industrial processes often are characterized by substantial hazard through their operation. As operators, engineers, and designers, we are responsible for keeping those actual and potential hazardous conditions and occurrences in check. I recently wrote about safety transmitters that can be used to enhance safe industrial process operation and provide compliance with applicable standards. I located a single sheet document that summarizes the features, benefits, cost savings, and compliance ratings for the safety transmitters from United Electric. You can get more detailed information on these devices and how to properly apply them in your process control scheme by contacting a product specialist. Combining you process expertise with their product application knowledge will generate a solid solution. 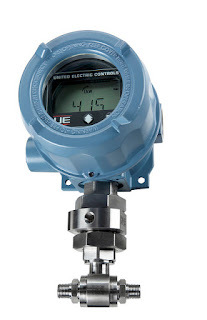 United Electric One Series Safety Transmitter from Miller Energy, Inc.
United Electric Controls has developed a safety transmitter that combines transmitter, safety switch, and display gauge in a single, easily deployed device. 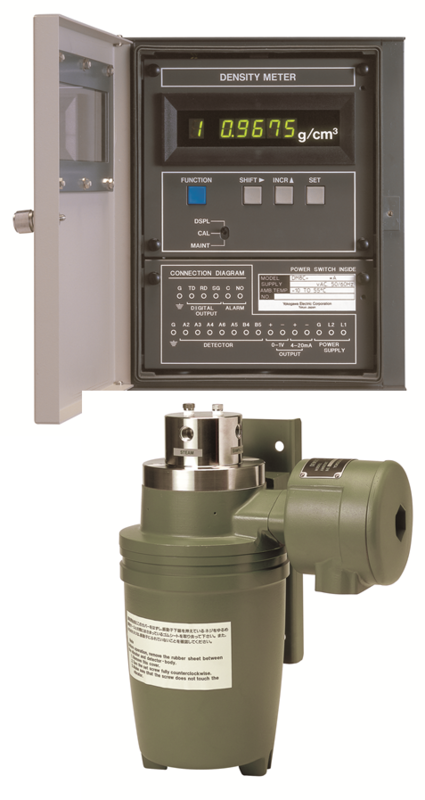 The One Series Safety Transmitter includes the manufacturer's patented self diagnostics, along with diverse and redundant signal processing that feed algorithms to detect and respond to internal faults and process abnormalities. The safety transmitter provides a local switch that can be used for rapid emergency shutdown at the point of measurement or detection, eliminating the need to communicate with other safety controllers and await a response. The safety relay output is programmable and can handle high voltages and currents associated with shutting down control valves, compressors, and other industrial equipment. In addition to the safety relay output, the One Series Safety Transmitter provides logic outputs that can be employed in voting logic schemes often used to produce warnings prior to a shutdown. For reliability, the unit employs no moving parts and includes self diagnostics with a local display of device status. There is a whole lot more to learn about these "Safety right out of the box" industrial pressure and temperature transmitters. The product brochure is provided below, but you can get the latest and most detailed product and application information from a specialist in industrial process measurement and control. Multiple communication protocol support, and more. The video included below will show you all the latest improvements on this product line that has thousands of units in its installed base throughout many industries and applications. Application assistance and detailed information is available from product specialists. Combine their product and application knowledge with your own process expertise to generate a positive outcome. The new Yokogawa TruePeak Tunable Diode Laser Spectroscopy (TDLS200) Analyzer is one of the most robust process analyzers available designed to make fast, accurate measurements on near-infrared absorbing gases in harsh process environments, where conditions are of high temperature or pressure, it can be used under difficult conditions including environments involving corrosive, aggressive and high particulate content materials. The TruePeak Tunable Diode Laser Spectroscopy (TDLS200) Analyzer is ideally suited to in-situ analysis, particularly for measurements in environments involving changing pressure or temperature. It can operate with process pressures up to 20 bar absolute and process temperature up to 1500°C, has a fast response (from 2 to 20 seconds), and is interference-free for most applications. It can measure Carbon monoxide (CO), from low ppm detection limits to percentage levels at process temperatures of up to 1500°C. The analyzer can also be used for measuring parts per million moisture content in corrosive and aggressive process streams including chlorine and hydrocarbons. The industrial applications for this technology, integrated into an intuitive and user-friendly equipment package, are extensive. Included below is a white paper authored by the company that explains the operating principles, installation and configuration, and capabilities of the unit. 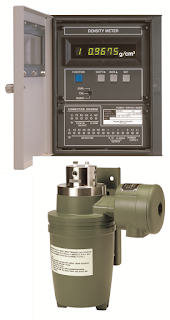 Contact a product specialist about your gas measurement and analysis requirements. See how the capabilities of the TDLS200 can improve your process performance. Yokogawa tunable diode laser gas analyzer and its application to industrial process measurement and control from Miller Energy, Inc.
Industrial process control implies the presence of industrial process measurement. Throughout our operations, we seek to measure "how much" of something is present. In the case of many materials, weight is the preferred measurement. Weight is a measurement of force. We can use it as a statement of "how much" because gravity is considered constant across the planet surface. The force I measure for a batch of material in the US will, for commercial purposes, be the same force measured for that material after I ship it to somewhere else. Measurement of weight can be used for establishing proper mixing ratios of components to be combined in a particular manner. The level of material in a tank or other container can be ascertained through a measurement of weight. In our processes, higher throughput and accuracy are always in demand. The Vishay Precision Group's BLH/Nobel Weighing Systems operating unit manufactures a high speed, high performance control for industrial weight/force measurement applications. Their G4 line of controllers provides the user a wide range of configurable options, from multiple input channels to analog and digital outputs. The clean user interface provides access to all functions and channels and the unit is available as a freestanding desktop, DIN rail mount, or panel mount unit. There is also a model configured for harsh environments. The video below provides a good overview of the unit and its potential applications. Contact a product specialist to receive more details, or to discuss how the G4 might be helpful to your process operation. By mid November, United Electric will begin shipping its new One Series hybrid transmitter-switch models that include HART® Communications Protocol. The newly designed product offering includes a transmitter-only model, as well as another model providing a transmitter plus two solid-state relays. Monitoring pressure or temperature in harsh, hazardous and heavy industrial process measurement and control settings is the target application for these loop-powered transmitters. Models will include UL and ATEX approvals for Divisions 1 & 2 (Zones 1 and 2). With the introduction of the One Series, UE is declaring a number of older models obsolete. You can get a listing of the newly obsolete models from your local UE distributor. The new combination transmitter and switch model provides a HART® 7 loop-powered transmitter, and includes two programmable solid-state relays, an improved backlit LCD display, and a separate IAWTM health status discrete output.The transmitter-only model is a HART® 7 loop-powered transmitter and also features an improved backlit LCD display. With HART® 7 capability, all of the functions available with the two-button keypad are also available via the HART® Communications Protocol. Using a HART®-compatible hand held communicator or a PC with a HART® modem and appropriate asset management software, users have the ability to quickly configure the One Series, including the switching parameters, and save the configuration in their library for cloning additional controls with the same parameters. We believe this is the only Division 1 electronic switch on the market with HART compatibility! If the units are connected to a control system with HART® IO allowing bi-directional communication, configuration can be performed remotely, without the need to remove the enclosure cover in a Division 1 (Zone 1) area. Using a HART® capable asset management system, the comprehensive diagnostic functions of the One Series can determine the health status 24x7, saving time and money while allowing operators to focus on other critical issues. For cybersecurity purposes, the HART® communications can be set to read-only mode that prohibits parameter changes from unauthorized users and creating a potentially dangerous condition. You can explore these new products in more detail with your United Electric distributor, taking advantage of their freshly acquired new product knowledge. Find out how the advanced new features of the One Series transmitters can enhance the operation and management of your industrial process. Recording, Data Logging, and Process Control - Consolidated or Separate Devices? Are you a designer or builder of process control systems? Selecting hardware and componentry to provide the functionality, accuracy, and accessibility required to meet process or equipment performance demands can pose some very distinct challenges. When faced with a scope of work that includes multiple PID control loops, data recording, and networking, do you tend to favor using a collection of separate devices for each function, or a consolidated unit that integrates all of the needed functions? I have designed many control systems throughout my career, and tended toward using separate devices initially. As I gained experience and the feedback that comes from having units in the field for a number of years, my thinking changed and my preference for integrated "single box" solutions began to predominate. Likely to take up less panel space than a combination of individual devices. No tasks associated with getting individual devices to work together, if that is needed. The integrated unit comes out of the box with all of that already accomplished. A single HMI encompassing all the provided functions. Anyone, end users, service techs, trainers, quality control, that needs to learn about the operation of the system has a single instruction manual to review or learn. Since the functions all come in one unit, there is often some streamlining to the learning process. OEMs may be able to use a single component to provide the necessary functions for numerous product versions, bringing measurable time savings throughout the product design, fabrication, and support functions of their organization. If spares are required, there is only one. I have enjoyed good results employing devices that combine numerous functions into a single package. There is a data sheet below, so you can see more about an industrial control, recording, networking device that packs a useful range of functions into a compact unit. On your next process control project, consider whether going consolidated or discrete is better for your needs. Talk to a process controls expert and get some additional input. Good solutions are out there. 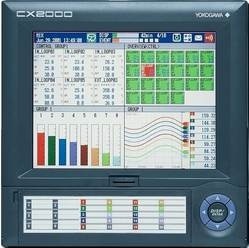 Yokogawa CX 2000 DAQ Station from Miller Energy, Inc. The performance of every process is critical to something or someone. Keeping a process operating within specification requires measurement, and it requires some element of control. The devices we use to measure process variables, while necessary and critical in their own right, are also a possible source of failure for the process itself. Lose the output of your process instrumentation and you can incur substantial consequences ranging from minor to near catastrophic. Just as your PLC or other master control system emulates decision patterns regarding the process, the measurement instrumentation functions as the sensory input array to that decision making device. Careful consideration when designing the instrumentation layout, as well as reviewing these five common sense recommendations will help you avoid instrument and process downtime. Process generated extremes can make your device fail. Search and plan for potential vibration, shock, temperature, pressure, or other excursions from the normal operating range that might result from normal or unexpected operation of the process equipment. Develop knowledge about what the possible process conditions might be, given the capabilities of the installed process machinery. Consult with instrument vendors about protective devices that can be installed to provide additional layers of protection for valuable instruments. Often, the protective devices are simple and relatively inexpensive. Don't forget about the weather. Certainly, if you have any part of the process installed outdoors, you need to be familiar with the range of possible weather conditions. Weather data is available for almost anywhere in the world, certainly in the developed world. Find out what the most extreme conditions have been at the installation site....ever. Planning and designing for improbable conditions, even adding a little headroom, can keep your process up when others may be down. Keep in mind, also, that outdoor conditions can impact indoor conditions in buildings without climate control systems that maintain a steady state. This can be especially important when considering moisture content of the indoor air and potential for condensate to accumulate on instrument housings and electrical components. Extreme conditions of condensing atmospheric moisture can produce dripping water. Know the security exposure of your devices. With the prevalence of networked devices, consideration of who might commit acts of malice against the process or its stakeholders, and how they might go about it, should be an element of all project designs. A real or virtual intruder's ability to impact process operation through its measuring devices should be well understood. With that understanding, barriers can be put in place to detect or prevent any occurrences. 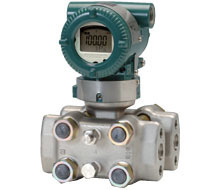 Strike a balance between convenience and safety for measurement instrumentation. Access for calibration, maintenance, or observation are needed, but avoiding placement of devices in areas of human traffic can deliver good returns by reducing the probability of damage to the instruments. Everybody is trained, everybody is careful, but uncontrolled carts, dropped tools and boxes, and a host of other unexpected mishaps do happen from time to time, with the power to inject disorder into your world. Consider guards and physical barriers as additional layers of insurance. Electronics must be protected from harmful effects of moisture. Where there is air, there is usually moisture. Certain conditions related to weather or process operation may result in moisture laden air that can enter device enclosures. Guarding against the formation of condensate on electronics, and providing for the automatic discharge of any accumulated liquid is essential to avoiding failure. Many instrument enclosures are provided with a means to discharge moisture. Make sure installation instructions are followed and alterations are not made that inadvertently disable these functions. Developing a thoughtful installation plan, along with reasonable maintenance, will result in an industrial process that is hardened against a long list of potential malfunctions. Discuss your application concerns with your instrument sales engineer. Their exposure to many different installations and applications, combined with your knowledge of the process and local conditions, will produce a positive outcome. Wireless sensor technology is not new, but is still in an adoptive stage in many industries. New technologies are commonly adopted first by companies and industries that can justify the premium cost of newly released technology. The adoption process is similar to that of business computers. Early models were incredibly expensive to purchase and required a very large budget to keep operational. As time passed, the machines became less expensive to purchase and own, allowing a greater segment of the business world to justify their purchase and use. Wireless process measurement and control is following a similar path, with more and more facilities considering the potential for application of these devices. I had always considered wireless sensing devices as a great way to be rid of cabling, but limited my thinking to fixed installations. A personal confession....Sometimes it's really hard to get my mind out of the box when I tape it shut. Anyway, I came across this application case from Yokogawa, a leading worldwide manufacturer of process measurement and control equipment and an enormous array of other industrial equipment. The case study illustrates how a tire manufacturing operation used wireless sensing technology to enhance the performance of their pressure test setup. The case study, shown below, shows the actual product part numbers used and provides a schematic and description of how the system was beneficially used. After my own reading of the case, I am now thinking of more potential applications that could benefit from a wireless configuration. Read the case, it's short and concise. A sales engineer can provide you detailed information on the specific products used in the application. If you come up with some potential wireless process measurement applications of your own, contact an application specialist and explore the possibilities. Wireless Process Measurement - Case Study of Plant Floor Testing Rack from Miller Energy, Inc.
Know Your Control Valve Basics? Understanding basic operation and function of control valves, an integral part of many industrial process control loops, is essential for the process engineer, operator, or other stakeholder. This presentation outlines control valve operation, major components, and terminology used to describe valve parts, functions, and principles of operation. A useful reference for stakeholders in need of a refresher course in order to understand what the engineers are saying, it also provides detailed illustrations, charts, and description that will prove valuable to the more technical minded. Terminology: A glossary of terms commonly used in the control valve world. Control Valve Basic Designs: Control valve classifications, cutaway illustrations showing the operating structure of different valve types, comparisons of varying valve designs. Characterization and Trim Design: Flow characteristic curves and comparisons for different valve types, showing how flow responds to valve position change. Control Valve Technical Considerations: FTC vs FTO, illustrations showing valve operation. Force-Balance Principle: Illustration and formula explanations of this basic operating principle. Actuator Basic Designs: Illustrations showing the differing arrangements for actuator operation. Control Valve Unit Action: Illustrations, diagrams, and explanations of a range of valve operating conditions, including loss of electrical power and loss of instrument air supply. Actuator Benchset Range: Shows practical relationship between instrument air pressure and valve ability to properly operate at various pressure conditions. Valve Positioner Basics: Definition of valve positioning, reasons to use a positioner, schematic illustrations of control loops. Control Loop Action: Charts and provides examples of 16 combinations of Process, Controller, Positioner, and Control Valve combinations. Control Valve Packing Designs: Describes and defines packing, common problems, current state of the art. Cutaway illustrations of various packing arrangements. Seat Leakage: Classifications, comparisons of different materials. There is something of value in the document for everyone, and you will undoubtedly pick up something useful. Thanks go out to the engineers at Cashco for putting this together. 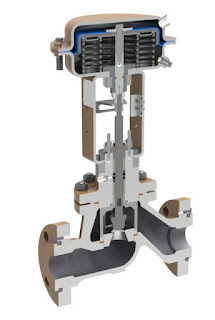 You can discuss any aspect of your control valve applications with a product specialist. Your contact is always welcome. Basic Operation & Function of Industrial Control Valves from Miller Energy, Inc.
Industrial process control often requires the accurate measurement of liquid level within a tank or other vessel. There are numerous device technologies and vendors from which to choose. A recent post on this blog detailed one of the available methodologies, the magnetic level indicator. I urge you to review that short post to familiarize yourself with the operating principles and advantages of applying a magnetic level indicator, not only on future projects, but as a possible replacement of some of your existing level indication instruments. 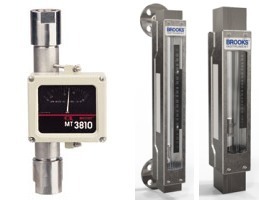 Orion Instruments, a Magnetrol company, has authored a case study showing how the replacement of glass tube level gauges with magnetic level indicators can reap substantial cost savings over the product lifetime. The case study, included below, takes but one minute of your time to read, and delivers a compelling incentive to consider magnetic level indicators (MLI) for your new projects, even as cost saving replacements for existing glass tube level gauges. Read the case study. Contact a product specialist to discuss your application for new or replacement level indicators. Orion instruments magnetic level indicators case study from Miller Energy, Inc.
Construction that is resistant to breakage. Maintenance free operation. No regular cleaning needed. 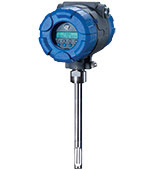 Magnetic level indicators can accommodate greater fluid level ranges without the need for multiple instruments. Orion Instruments, a Magnetrol company and industry leader, has produced a comprehensive guide to magnetic level gauges, switches, transmitters, and related products. It delivers experts and newcomers an understandable and clear description of the technology and principals of operation behind magnetic level gauges and instruments. The guide also assists the reader in properly specifying and selecting the best instrument configuration for an application. A table of contents at the front of the document helps readers to quickly find the information they need. Take a couple minutes to roll through the document and you are likely to find new and useful application tips and product information. Any questions about magnetic level indicators or your process measurement and control applications can be clearly addressed by a product specialist. Orion instruments magnetic level gauge & instrument selection guide from Miller Energy, Inc.
Gas chromatography is a common analysis tool employed in many areas of industry, including oil and gas, pharmaceutical, chemical, and others. Yokogawa Corporation of America has developed and been delivering top tier GC performance with their GC8000 Process Gas Chromatograph for use in oil and gas, and other industrial applications. In addition to the ruggedness and reliability for which Yokogawa gas chromatographs are well known, the GC8000 brings a number of innovations and improvements to the company’s process gas chromatography product offering. > Advanced predictive diagnostics and software functions monitor key performance indicators during each analysis to verify analyzer is operating within proper tolerances. > Parallel chromatography is made practical through the use of the GC Modules provided as part of the GC8000. Virtual GCs can be set up inside a single GC with GC Modules to measure multiple streams simultaneously. The graphics below expand on this overview of the GC8000 Process Gas Chromatograph, the culmination of Yokogawa’s 55 years of experience in the field. For more detailed information, or to discuss your application specifics, contact a product specialist. Process Gas Chromatograph - Yokogawa GC8000 from Miller Energy, Inc. Magnetic Flow Meter – When Is It the Right Selection for Your Project? 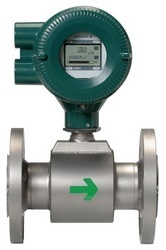 Flow measurement is a ubiquitous function in the industrial process control field. Anywhere there are pipes, somebody wants to know what, and how much, is passing through them. Fortunately for us engineers, there is a wide array of industrial flow meters capable of measuring some physical characteristic of fluid moving within a pipe that can be translated into a useful measurement of flow rate. In industry, there are a number of different technologies used to measure a physical property related to fluid motion, referred to as magnetic, ultrasonic, vortex, Coriolis, differential pressure, and several others. Each methodology exists in the market because it may perform better or cost less when meeting certain performance requirements. This article is focused on magnetic flow meters and when they may be a good candidate for your project. Here is a list of some of the positive attributes of magnetic flow meters. Magnetic flow meters have no moving parts, always a plus. General construction arrangement allows for use of an interior liner for corrosion resistance. With no sensor insertions into the fluid flow, the impact of the instrument on the flow is minimized. Accuracy, when compared to other technologies, is high. Application to laminar, turbulent, and transitional flow profiles is permissible. General insensitivity to fluid viscosity, specific gravity, temperature and pressure. Magnetic flow meter technology can be applied to a very wide range of pipe sizes. Device responds rapidly to changes in fluid flow. Can be successfully applied to liquids containing heavy particulates. Generally long service life with little maintenance. There are, though, some points about magnetic flow meters which may make them unsuitable for your application. Magnetic flow meters only work on liquids with conductivity above a certain threshold. They may be unsuitable for use with hydrocarbons and high purity water for this reason. Cannot be used to measure gas flow. Typically, the pipe cross section must be filled by the fluid being measured. This listing of positives and negatives is intended to be very general in nature. Some manufacturers may have product application solutions that overcome some of the negatives, while others may not be able to deliver all of the positives. Use this general overview to start shaping you understanding of where magnetic flow meters may be a good option, and contact a product application specialist to discuss what you want to accomplish. Combining your process knowledge with their product knowledge should move you toward a good solution. Measuring the volume, mass, density, and temperature of flowing fluids is a common and necessary function of industrial process control. Industrial flowmeters employ various measuring technologies to deliver accurate measurements, which are utilized to make safety, operational, and financial decisions. 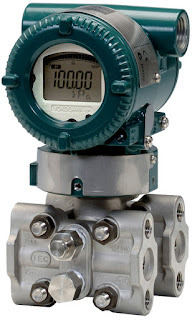 Each measurement technology; magnetic, Coriolis, vortex, differential pressure, rotameter, ultrasonic, or another, has specific attributes of meter design and measurement principle making it more suitable to differing application classes. Yokogawa Corporation has summarized the suitability of the different flowmeter types for a range of process and operational conditions in a table that provides the user a consolidated comparative view of flow meter technology for almost every application. It is a useful tool that allows the engineer to quickly focus in on one or two technologies that will best suit project requirements. Preview the handbook below, and obtain a copy of the handbook from a Yokogawa product expert, from whom you can also get expert level application assistance. Flowmeter Handbook by Yokogawa from Miller Energy, Inc. Attaining the best available performance and accuracy from any measuring device utilized in an industrial process is always advantageous. The scale of most industrial processes is such that even small inaccuracies in process measurement produce financially tangible impact. 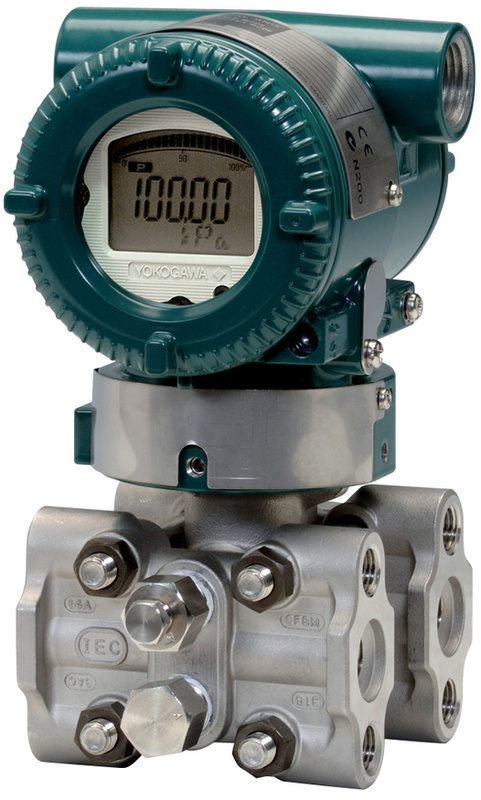 Differential pressure measurement, with wide application in the industrial process sphere, can be improved with the addition of a means to compensate for the real world effects of static pressure upon instrument performance. Yokogawa Corporation has developed a means to dynamically compensate for static pressure effects in field measurements. The brief technical presentation below will help you understand how static pressure effects can impact your field measurements, as well as how Yokogawa’s Real-time Dynamic Compensation works to offset its impact. More detailed product and application information is available from your Yokogawa specialist. 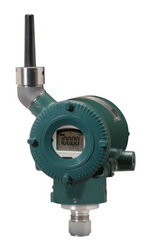 Real-Time Dynamic Compensation for Static Pressure Effects in Differential Pressure Measurement from Miller Energy, Inc.
Data acquisition, like an equipment acquisition, is the procurement of an asset. Data is an asset. It helps an operator evaluate process or business conditions and make decisions that impact the success of the organization. Let’s define data acquisition as the sampling of signals that represent a measurement of physical conditions and the conversion of those signals into a numeric form that can be processed by a computer. A data acquisition system will generally consist of sensors, transmitters, converters, processors, and other devices which perform specialized functions in gathering measurements and transforming them into a usable form. Industrial process operators and stakeholders benefit from the collection and analysis of data by enhancing performance of valuable facets of the process or activity. Data acquisition, commonly known as DAQ, is widely employed in high stakes and sophisticated processes where there is a true need to know current conditions. A desire for increased profit drives the need for increased process output and efficiency. A desire to reduce risk of loss drives the need for reduced downtime and improved safety. Today, there are likely many useful applications for data acquisition that are not being tapped to their fullest potential. The modest cost and simplicity of putting a data acquisition system in place, compared to the benefits that can be derived from a useful analysis of the data for your operation or process, makes the installation of a data acquisition system a positive move for even small and unsophisticated operators in today’s market. What we call DAQ today started in the 1960’s when computers became available to businesses of large scale and deep pockets. By the 1980’s, personal computers employed in the business environment could be outfitted with input cards that enabled the PC to read sensor data. Today, there is an immense array of measurement and data collection devices available, spanning the extremes of price points and technical capability. For a reasonable cost, you can measure and collect performance data on just about anything. You can get an impression of the simplicity, modularity, and compactness of a modern system with a quick review of this product. Consider your industrial process or operation. Are there things you would like to know about it that you do not? Would you like to increase your insight into the workings of the process, how changes in one condition may impact another? Do you know what operating condition of each component of your process will produce the best outcomes? Is reducing maintenance, or heading off a failure condition before it occurs something you would like to have in your operation? Applying your creativity, ingenuity and technical knowledge, along with the help of a product expert, will help you get the information you need to improve the outcomes from your industrial process or operation. Miller Energy is a Manufacturer's Representative and Distributor of industrial instrumentation and process control equipment. Miller is committed to exceeding customers expectations by providing an unparalleled level of customer service and local technical support. Miller offers the most comprehensive line of measurement, control, and communication solutions in industry today. The products provided by Miller solve challenging applications in the industrial gas, power, refining, chemical / petro-chemical, food & beverage, water/wastewater, and pharmaceutical markets. Guided wave radar is based upon the principle of TDR (time domain reflectometry). Pulses of electromagnetic energy travel via the waveguide. The pulse is reflected when it contacts a liquid surface and the distance is then calculated. Guided wave radar transmitters are available with a 304 stainless steel housings designed specifically for use in hygienic applications. This instrument meets the needs and requirements for the wetted and non-wetted materials, process connections and surface finishes of hygienic industries. Advantage over Magnetostrictive: Replaced by Eclipse due to setpoint shifts, turn-down and clean ability & long term calibration / maintenance. Advantage over RF Capacitance: Replaced by Eclipse due to dielectric shifts, coating issues & long term calibration / maintenance. Advantage over Load Cells: Eclipse is more cost effective and long term cost of ownership is lower due to long term calibration / maintenance. Advantage over Ultrasonic: Replaced by Eclipse due to vapors, condensation, temperature restrictions, foaming & turbulence. Advantage over Through Air Radar: Replaced by Eclipse due to performance issues on low dielectric media, short range measurement because of dead band issues in small vessels, measurement issues when using false echo rejection from internal obstructions such as agitators and spray balls, signal attenuation from turbulence, foam, condensation and spray from spray balls used during cleaning or product filling. Through air radar can have issues from variable false echoes generated when spray hits the antenna when vessel is filled from spray balls. 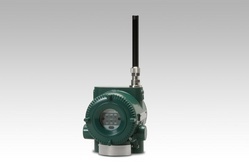 Guided Wave Radar Level Transmitter For Hygienic Applications from Miller Energy, Inc. In the realm of industrial process control valves, your selections for most applications are vast. Every application will likely have one or more elements become critical and deciding factors for valve selection. That element might be complex and highly technical, being intimately related to physical or dynamic properties few understand. Conversely, the selection may hinge upon something as obvious as what will fit in the space that is provided. 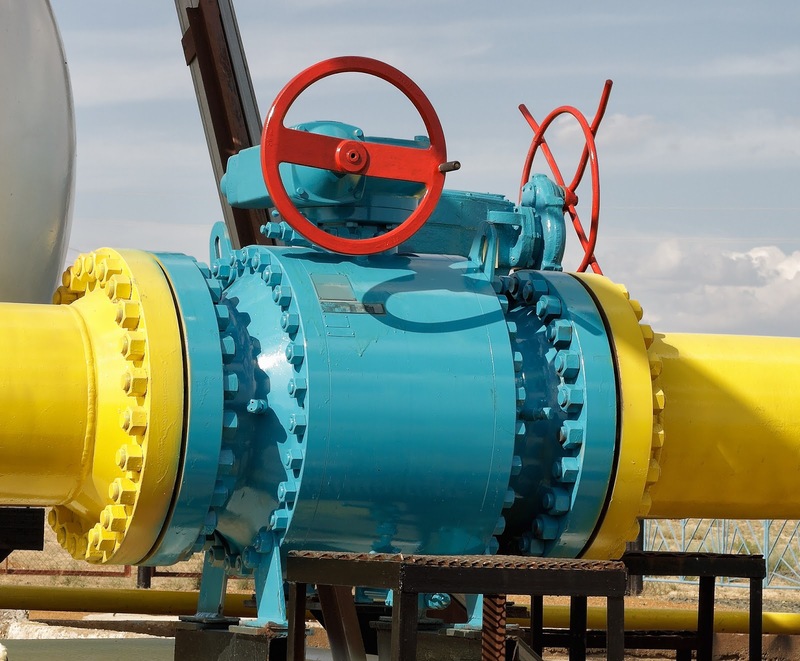 Whatever the case, some efficiency can be brought to bear in your selection process by initially deciding which type of valve would best suit the application. This allows you to focus on a much smaller universe of product candidates for your project. Like most valves, ball valves are characterized by their closure mechanism. Generally, a ball valve has a spherically shaped fabrication (ball) that is inserted in the fluid flow path. The ball has an opening through its center, often circular in cross section and matching the diameter and shape of the connected pipe. The ball is contained within the body of the valve and rotated around its central axis by torque applied to the stem. The stem, which extends through a seal to the exterior of the valve body, can be manually or automatically controlled via several methods. Consider some of these main points and see if a ball valve might be a good selection for your application. When closed this valve type provides a tight closure. When open fully,there is very low resistance to flow. Suitable for applications requiring only fully closed or open control. 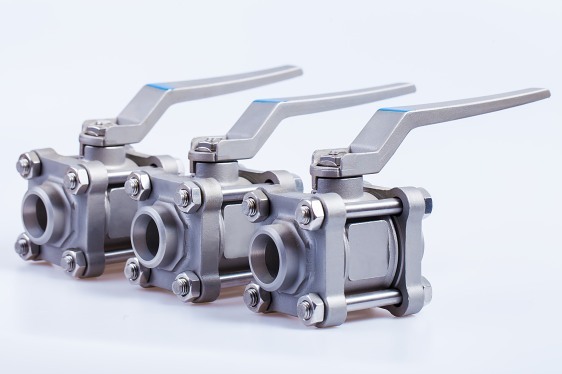 With only 90 degrees of rotational motion from open to closed positions, ball valves can provide rapid response to a change in position requirement or command. Ball valves are comparatively compact, without the space requirement for extending stem movement as required by some other valve types. Ball valves are available in a wide range of construction materials for the body, stem, ball, and seals, making them suitable for a wide range of fluid types and temperatures. Force required to rotate to valve stem is moderate, keeping actuator options high and energy requirements low. Requirements for maintenance are generally low. No lubrication required. Ball valves are not well suited for throttling applications. Partially open valves expose the seals to the effects of the flow velocity, with possible premature seal deterioration. A closed valve can trap residual amounts of fluid in the port (the opening through the ball). This fluid will be released to the valve outlet when the valve is opened. Elastomeric materials are often used for the valve seals. Evaluate whether the seal materials are compatible with the fluid characteristics and operating temperature. There are special adaptations of ball valves which may overcome some of the concerns you have about their application on your project. It is always a good idea to consult with a valve specialist and consider their recommendations for your project. Industrial process control valves are available in a staggering array of materials, types, and configurations. An initial step of the selection procedure for a valve application should be choosing the valve type, thus narrowing the selection field to a more manageable level. Valve "types" are generally defined by the closing mechanism of the valve. 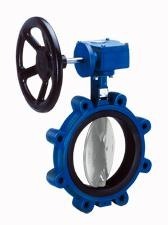 A butterfly valve has a disc that is positioned in the fluid flow path. It rotates around a central axis, the stem, through a 90 degree arc from a position parallel to the flow direction (open) to perpendicular (closed). A variety of materials are used in the valve body construction, and it is common to line the valve with another material to provide special properties related to the process media. What might make a butterfly valve a beneficial selection over another valve type? The closure arrangement allows for a comparatively small size and weight. This can reduce the cost, space, and support requirements for the valve assembly. Generally low torque requirements for valve operation allow for manual operation, or automation with an array of electric, pneumatic, or hydraulic actuators. Low pressure drop associated with the closure mechanism. The disc in the flow path is generally thin. In the fully open position, the disc presents its narrow edge to the direction of flow. Quarter turn operation allows for fast valve operation from fully closed to fully open. Some throttling capability is provided at partially open positions. Small parts count, low maintenance requirements. What may be some reasons to consider other valve types? Cavitation can be a concern. Some sources mention the possibility of choked flow as a concern under certain conditions. 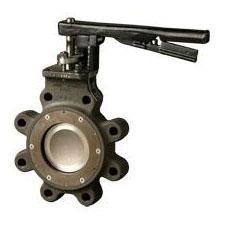 Butterfly valves, like other valve types, have applications where they outperform. Careful consideration and consultation with a valve expert is a first step toward making a good selection.